Emily Elizabeth Dickinson was born in Amherst, Massachusetts on December 10,1830, to a prominent family of academics, lawyers, and statesmen. Following her education at Amherst Academy and Mt. Holyoke Female Seminary, Dickinson embarked on her impassioned journey as a poet. Composing first in a fairly conventional style, the poetess soon began to experiment with her writing; her frequent use of dashes, sporadic capitalization of nouns, broken meter, and idiosyncratic metaphors made her work unparalleled for its time. Dickinson's poetry dealt not only with issues of death, faith, and immortality, but with nature, domesticity, and the power of language to transfer emotions into written text. An obsessively private writer, only ten of her some 1,700 poems were published during her lifetime. Dickinson withdrew from social contact at the age of 23 and devoted herself to writing in secret. It wasn't until her death in 1866 that the scope of Dickinson's work was realized, when her sister Lavinia found her prolific collection in a dresser drawer. 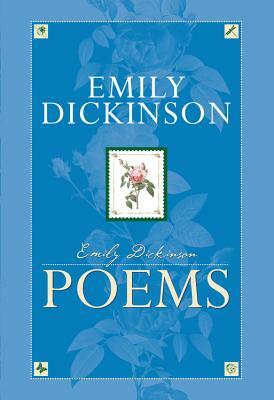 Since this time, Emily Dickinson's writing has had significant influences on modern American poetry; her complex use of language and form has contributed to her reputation as one of the most innovative poets of the 19th century. This collection of some of her finest works illustrates not only Dickinson's talent as a writer but her profound love of language, nature, and life.